Regional organisation ahead of the Global March to Jerusalem. 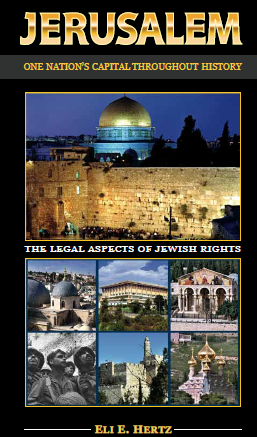 A number of reports from parties associated with or sympathetic to the Global March to Jerusalem attempt to create an impression of a broad support base for the action. 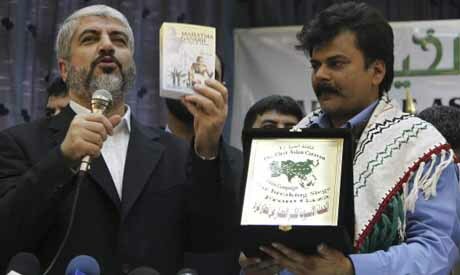 According to the Iranian regime-controlled Fars news agency, Fatah has called for participation in the march. In another article, Fars news agency reports on a demonstration by women in Gaza. “Women in Gaza held a gathering outside the Palestinian Legislative Council in Gaza City to underline their support for the Global March to Jerusalem (GMJ). Many of the women present were older, and carried keys to the homes they were forced out of in 1948. 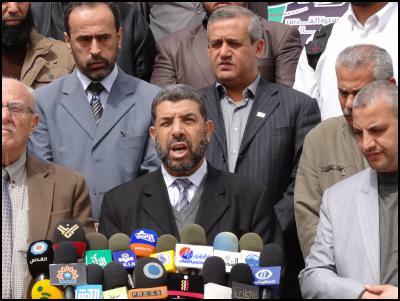 The gathering was addressed by Hamas spokesperson Mosher Al Masry, and Dr. Ahmed Abu Halabiya, head of the Gaza GMJ Committee, and member of the Palestinian Legislative Council. 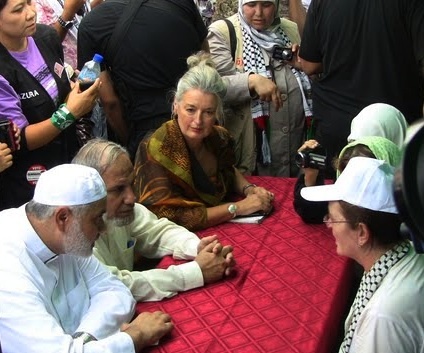 The demonstrating ladies were obviously unmoved by the irony of the fact that the ruling Hamas regime in the Gaza Strip which is heavily involved in the organization of the GMJ is a notorious abuser of the human rights of religious minorities, political opponents, women and gays. Meanwhile in Jordan, the Jordan Times reports that the authorities there have agreed to allow marchers to rally in the Jordan Valley on Friday. “Jordanian authorities confirmed on Sunday that they will permit a planned march in the Jordan Valley on Friday as organisers denied any intentions to storm the Jordanian-West Bank border. According to the Public Security Department (PSD), authorities will allow Islamist activists to lead a march as part of global demonstrations “in support of Jerusalem”. PSD Spokesperson Lt. Col. Mohammed Khatib said a “heavy” security presence will be deployed to maintain order during Friday’s march, when Islamists and pro-Palestinian activists are expected to converge near the Kingdom’s borders with the West Bank. 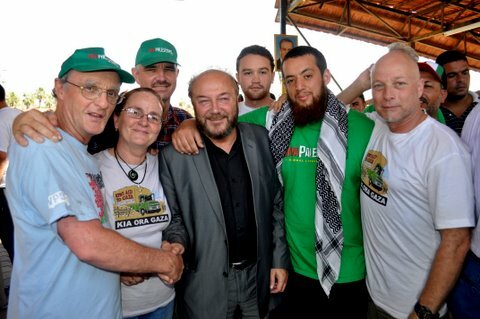 Meanwhile, the Islamist movement stressed that the march will be “peaceful and well organised”, dismissing fears of participants attempting to storm the border as “baseless” . Kathem Ayesh, a Muslim Brotherhood shura council member and march organiser, said they will ensure that participants will not stray from the designated rally site, pointing out that Islamists held a similar rally in the Jordan Valley last November without incident. “This will be a peaceful rally in support of Jerusalem, not a call to storm Jerusalem,” Ayesh told The Jordan Times. Activists from across the country plan to gather in the village of Kafrein near the Baptism Site, some 10 kilometres from the Kingdom’s border with the Palestinian territories, following noon prayers. Jordanian GMJ General Coordinator and head of the GMJ International Executive Committee Ribhi Halloum went so far as to claim that the number of participants has now doubled to 2 million. Halloum’s imagination may, in fact, be running away with him as it also appeared to do earlier this week. Who’s fundraising for ‘Global March to Jerusalem’ in Canada? On March 17th a fundraising event for the Global March to Jerusalem was held in Hamilton, Ontario, featuring Eva Bartlett and Khawla Ibrahim. Eva Bartlett is an International Solidarity Movement activist who was deported from Israel and disqualified from re-entry for ten years in early 2008 due to her not being in possession of a valid visa. 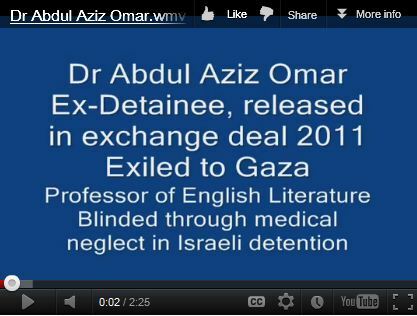 Bartlett has worked for Palestinian Center for Human Rights (PCHR) in Gaza and written for Electronic Intifada. 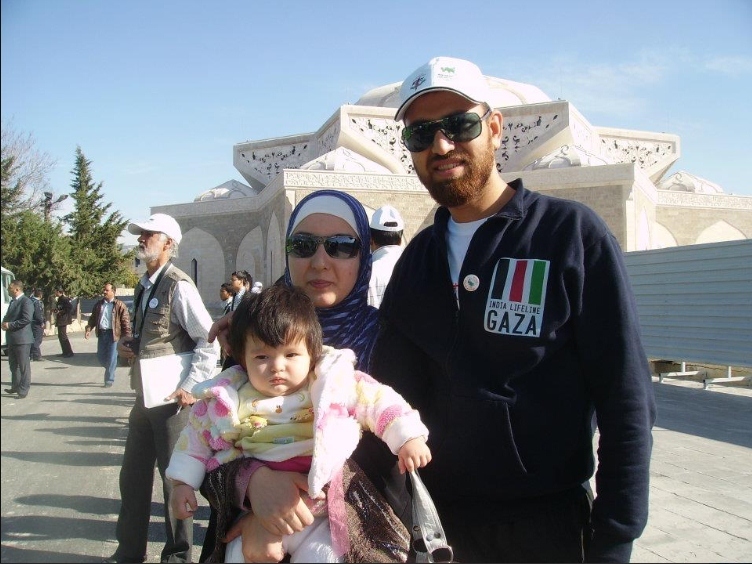 She is married to Emad Badwan, a film-maker and journalist from Dir el Balah in Gaza. 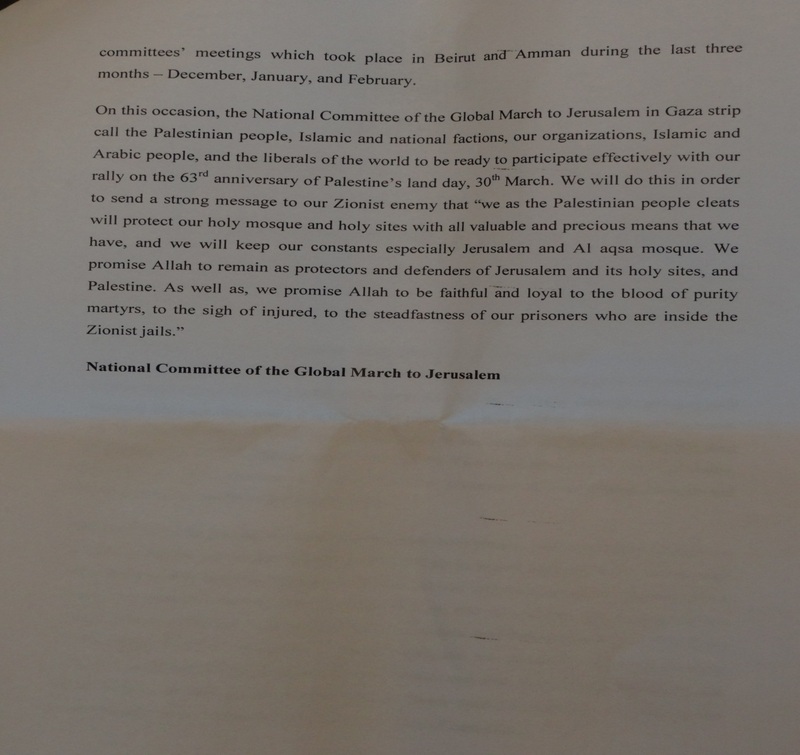 According to her blog (where, in her latest post, she perpetuates the myth that Israel was responsible for the death of Nayif Qarmout and writes of “25 martyrs” – most of whom were members of terrorist groups), Bartlett apparently intends to join the Global March to Jerusalem in Lebanon. 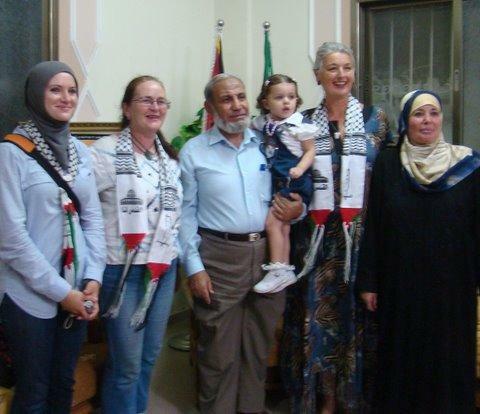 Khawla Ibrahim is an executive member of Hamilton Coalition to Stop the War and a member of the Palestinian Association of Hamilton, both of which are endorsers of the Global March to Jerusalem. 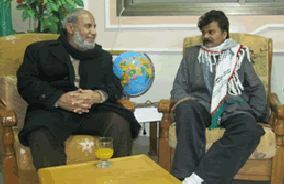 According to this petition which Ibrahim signed in 2010, she rejects negotiations as part of the peace process. The fundraising event was organised by Wael Ghuneim – another member (and president) of the Palestinian Association of Hamilton. 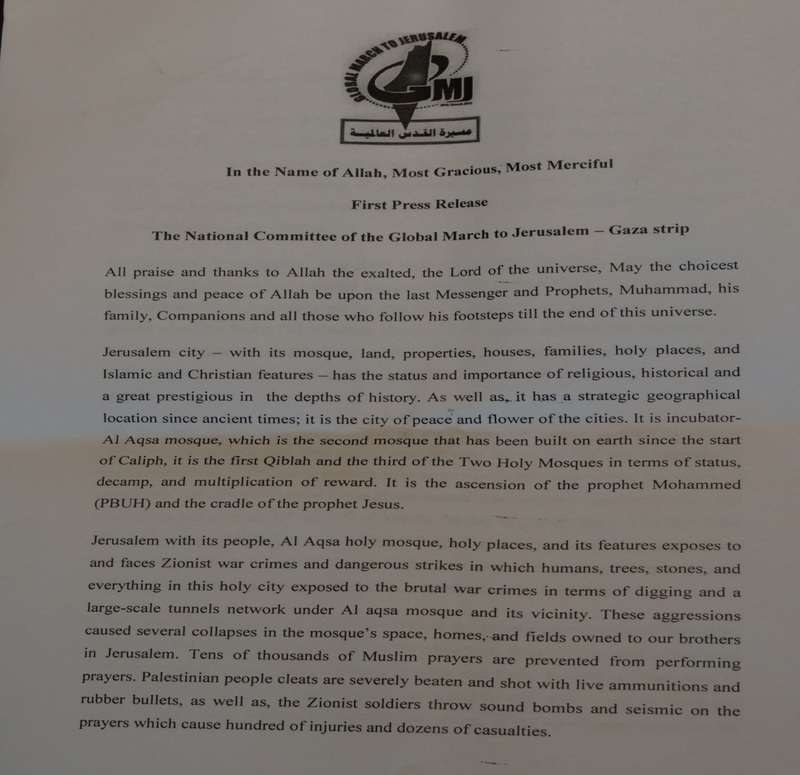 Ghuneim is one of the GMJ organisers in Canada, together with Ali Mallah and Ken Stone, who put out this document on behalf of the three of them. 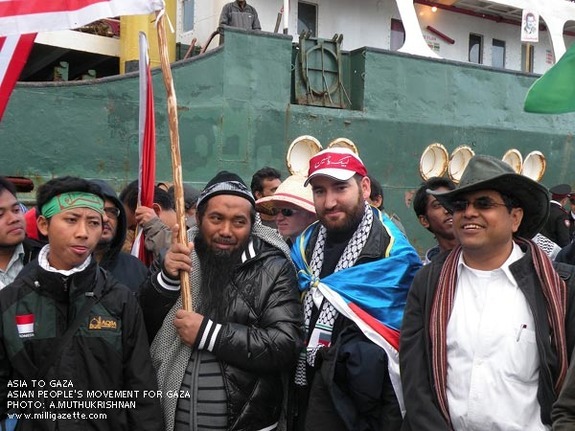 Ghuneim, Ibrahim and Stone were all involved in the ‘Canadian Boat to Gaza‘ flotilla project in 2011, along with their associated organisations; the Hamilton Coalition to Stop the War, the Palestinian Association of Hamilton and Independent Jewish Voices (also a GMJ endorser), of which Stone is a member. Unsurprisingly, the apparently not defunct ‘Canadian Boat to Gaza’ website is now promoting the Global March to Jerusalem. In his IJV capacity, Ken Stone signed the Stuttgart Declaration which rejects a negotiated two-state solution to the Arab-Israeli conflict. In addition to having acted as treasurer for the flotilla project, Ken Stone is also a member of the steering committee for the Canadian Peace Alliance (an organisation which campaigns to have Hamas and Hizballah removed from the list of terrorist organisations in Canada and is yet another endorser of the GMJ) and in that capacity will be speaking at a conference in the United States on March 23rd-25th, where he will lecture on Iran, apparently representing the non-intervention viewpoint at a workshop entitled “Targeting Iran: The Truth Behind the Hype”. Some ten years later, during the First Intifada in January 1988, the Jerusalem Committee of the Organization of the Islamic Conference found it useful to follow suit and decided that “Quds Day” should be commemorated in public events throughout the Arab world. By now, many in the Western media have dutifully taken to describing Jerusalem as Islam’s “third holiest city” – while mentioning Jerusalem’s status in Judaism and Christianity is somehow less popular. 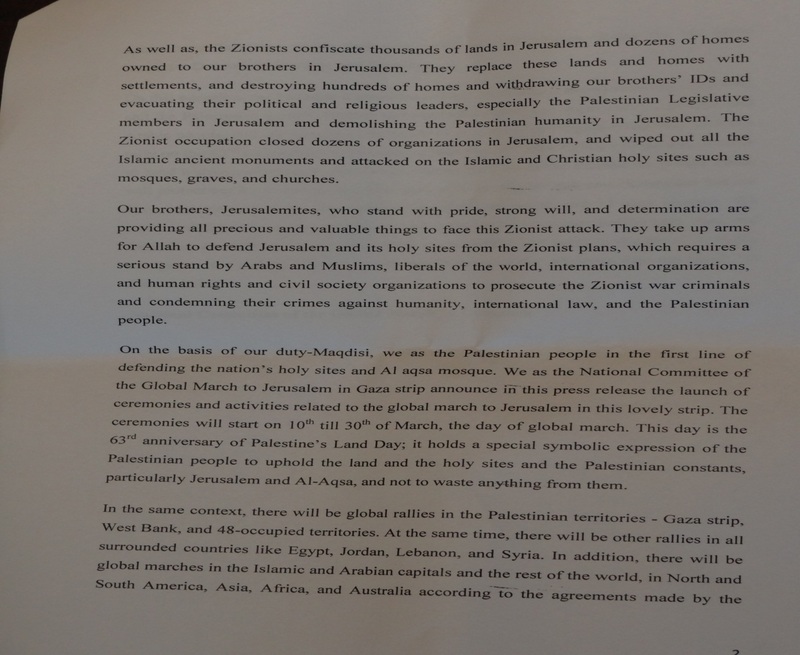 The official Global March to Jerusalem website issued a condemnation of what it termed “criminal Israeli assassinations of Gaza civilians” on March 13th, referring of course to last weekend’s actions to stop the firing of hundreds of missiles at Israeli civilians. In fact, contrary to the GMJ statement, the vast majority of those who died were not civilians, but terrorists actively involved in perpetrating attacks on Israeli civilians. Fourteen of the people killed were members of the proscribed Palestinian Islamic Jihad terror organization and six were members of the Popular Resistance Committees. Of the six others killed in the latest bout of fighting, at least two appear to have been used as human shields by terrorists, one died as a result of gun-fire at a Gaza funeral and another appears to have been carrying or operating some sort of explosive device. 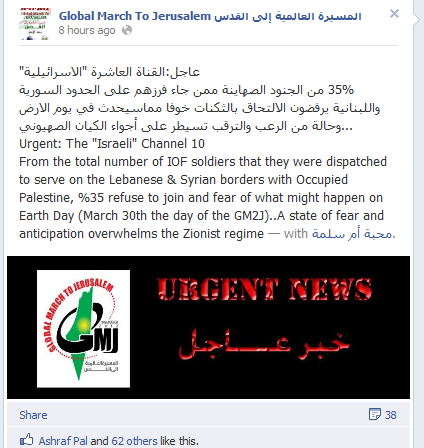 Given the prominent involvement of the Iranian regime in the Global March to Jerusalem project it is hardly surprising that the GMJ organisers would find it necessary to express support for the Iranian-backed and financed Palestinian Islamic Jihad and Popular Resistance Committees which were the main players in the latest round of terror attacks on Israeli civilians. 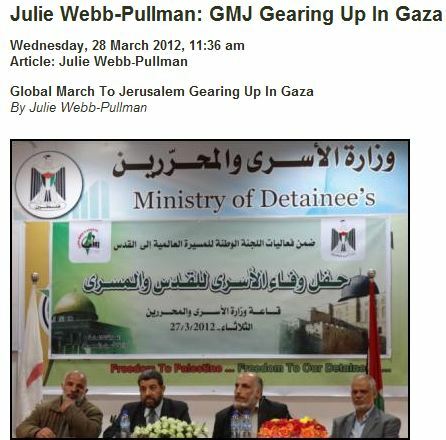 The GMJ organisers’ whitewashing of Iranian sub-contracted terror groups in Gaza does, however, expose its much-touted commitment to ‘non-violent protest’ as a farce. 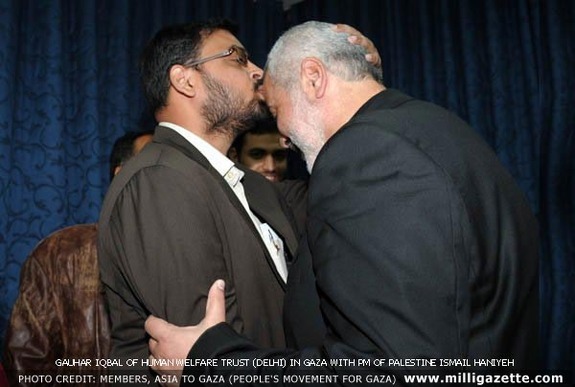 A New Zealand freelancer currently in the Gaza Strip has reported on a press conference held on March 12th by the GMJ Gaza National Committee (headed by Hamas member Ahmad Abo Halabiya) with the participation of GMJ organiser and spokesman Zaher Birawi from the United Kingdom. 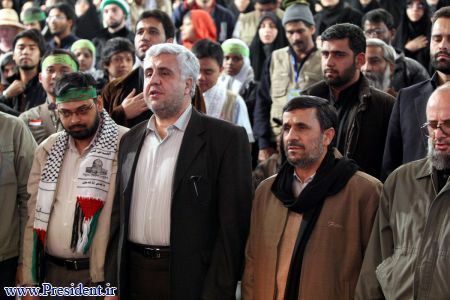 Birawi in Gaza on March 12th – second row, in the light blue jacket. Ahmad Abo Halabiyah is in the middle of the front row. Later, Birawi gave an interview to the reporter in which he accused Israel of trying to make Jerusalem the “capital of racism”, “for Jewish only”.